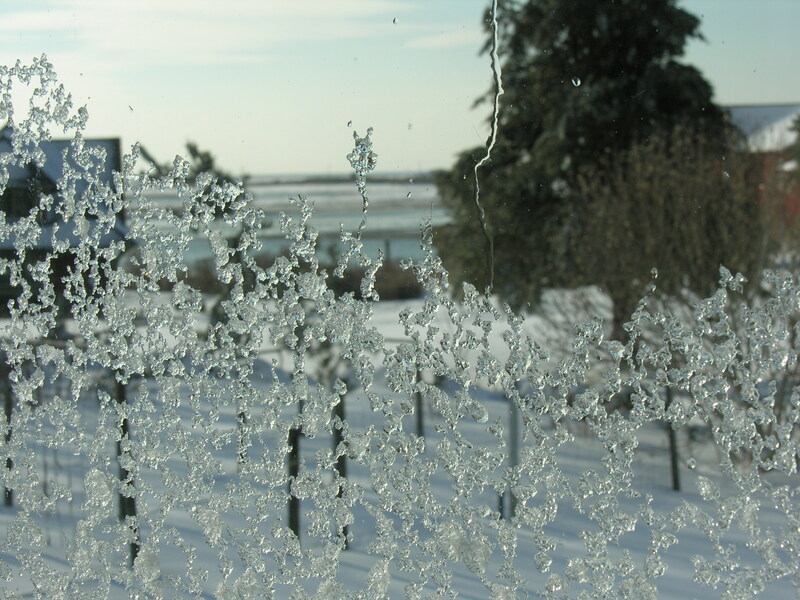 The windows provide an icy view of the back yard. 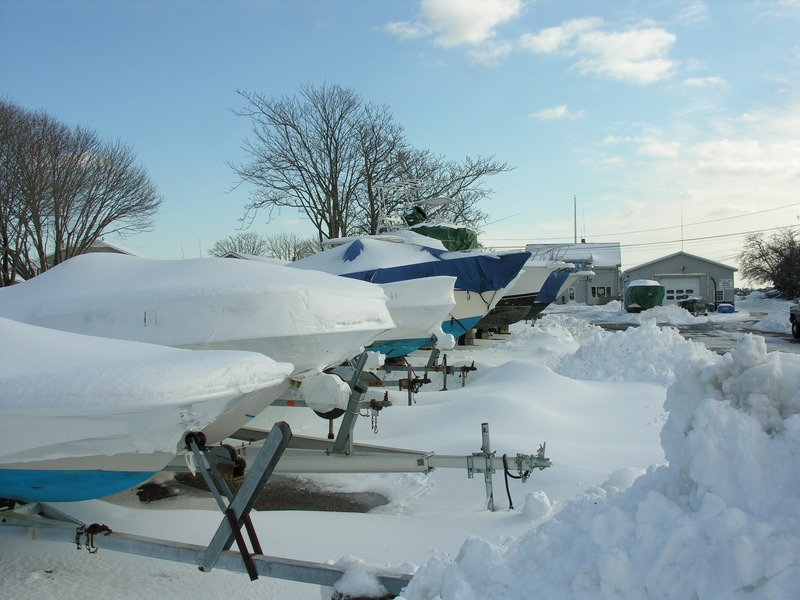 Winterized boats, waiting patiently in an orderly line at the marina. It’s hard to believe they’ll be back in the water in just a couple of months. 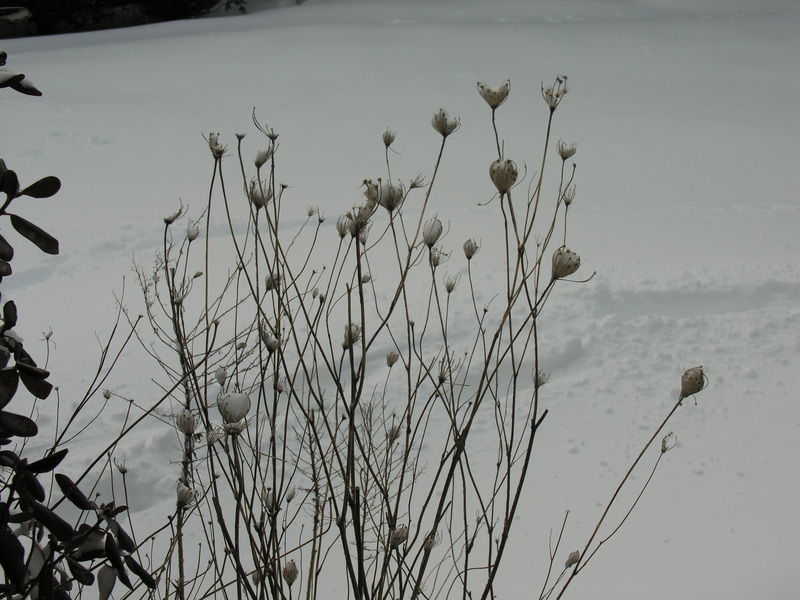 Queen Ann’s Lace captures small cups of snow. 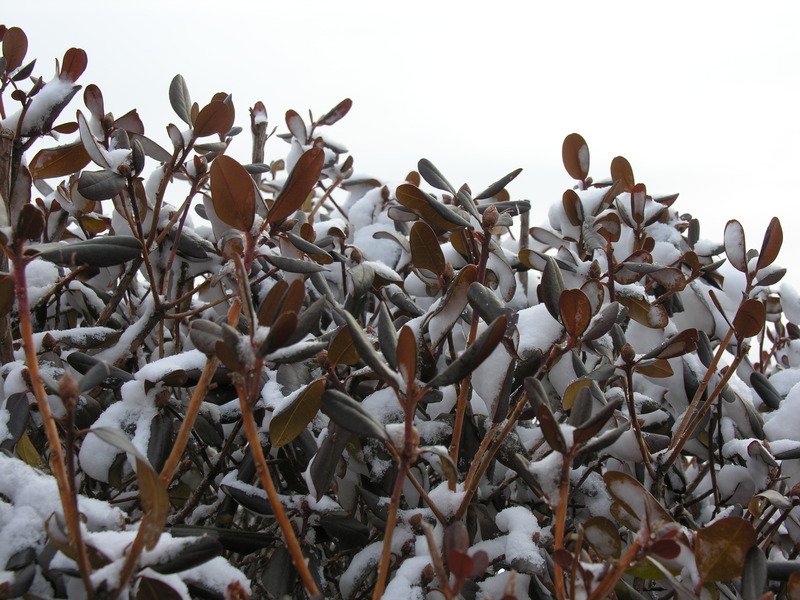 The Rhododendron curls its leaves against the cold. 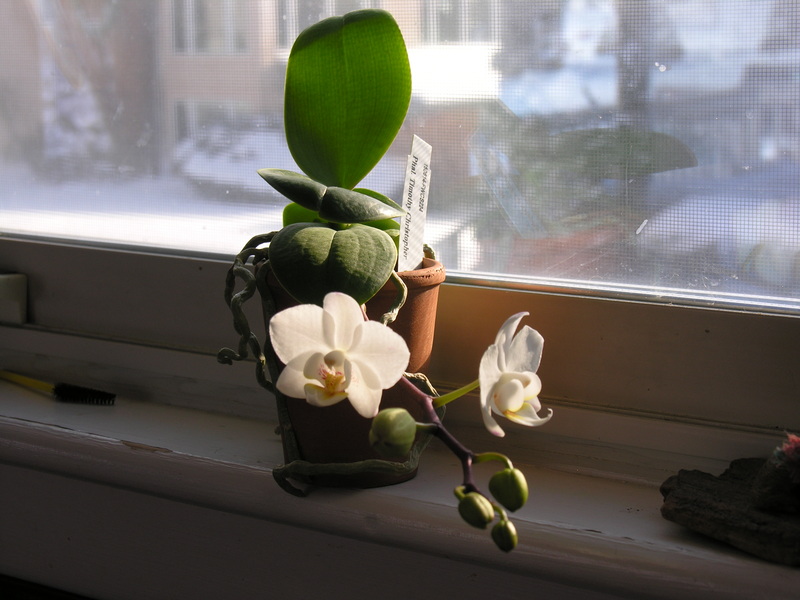 While inside, on a kitchen window ledge, my miniature phalaenopsis “Timothy Christopher” flaunts its new flowers. beautiful post, dn. great photos! You live in such a gorgeous spot, lucky us to see it through your eyes. 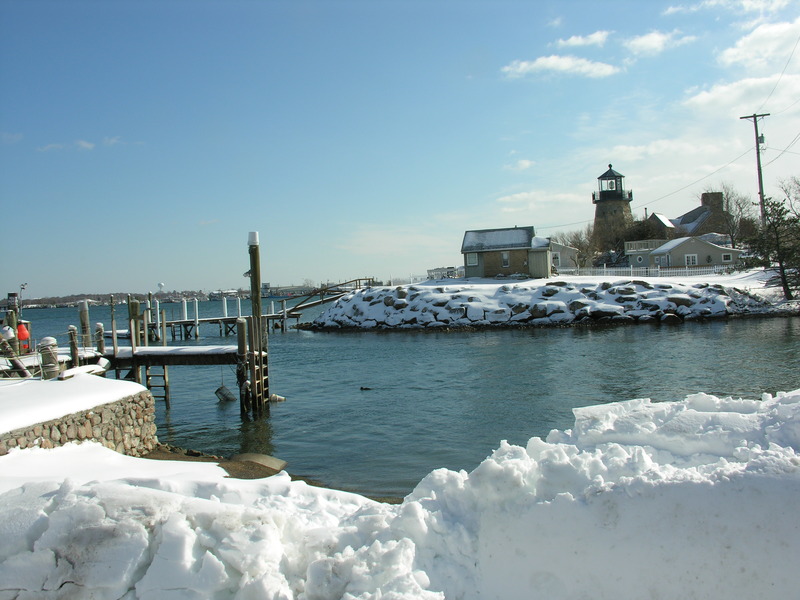 In your 1st shot across the water there is a small lighthouse (LH) structure. 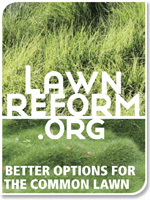 I know that a homeowner built it years ago. Does it have a functional light or is this his/her expression of LH-enthrallment? Either way it is charming. Again thanks for the tour. Thanks for dropping in, GP. I’m not sure what you mean by “functional.” The light in the lighthouse does work, but it’s not used for navigation or anything. It just looks nice.